Earlier this month our partner, PokerStars, part of The Stars Group, organised a celebrity charity tournament during their European Poker Tour stop in Barcelona. 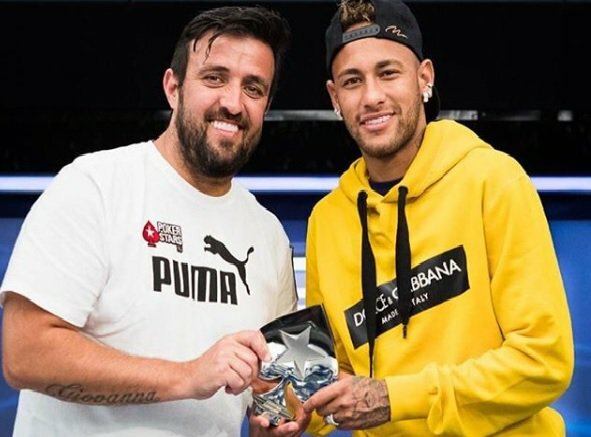 A variety of sport stars played for charities close to their hearts including Paris Saint-Germain and Brazil national forward, Neymar Jr, who is no stranger to the poker table, having competed in his first EPT event in Barcelona three years ago in 2015. The sports icon ended up heads up with PokerStars Ambassador, Andre Akkari, who won the tournament for Right To Play, The Stars Group’s official global charity partner. Andre kindly matched the donations he won and to make a generous $20K donation. Through their 'Helping Hands' corporate giving programme, The Stars Group, together with their staff and customers, will have donated more than £1.7m by the end of 2018. This is invaluable support to help Right To Play's work educating and empowering two million children to overcome the effects of poverty, conflict and disease using sport and play. "Right To Play makes such a positive impact to so many children around the world and The Stars Group is incredibly proud to be able to support their valuable work. Using play to educate and empower is a philosophy that our players and staff really believe in."